If you are starting out with iPads in your school, the number of Apps recommended and available can be confusing. It can be difficult to know where to start, the expectation of parents and peers adds pressure to a new learning situation. Here is a simple guide to the in-built Apps iPad as standard… and what you can do with them. iBooks- Similar to a kindle, this app allows you to download and store books including texts. iBooks are often tailored to be interactive, incorporate web links and 3D pictures. Reading on the iPad also means that with a (double) tap of your finger you can highlight a word or piece of text, get a definition, have the selection spoke back to you or add a note (which can be colour coordinated). Notes can be searched for easily from any other page – which makes finding quotes simple! No more of those scribbled in messy texts! 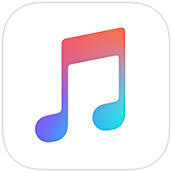 Music- Buy, download and store music, films, TV programmes, audio books and podcasts. Music can be played, rated, added to playlists and stopped using the stopwatch function. Careful of those lyrics! Having specified playlists for subjects as Drama and PE can add to the engagement of your pupils. 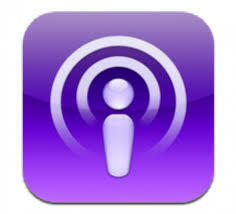 Podcasts are free audio or video files. They are being utilised more frequently in education to share ideas and information. They can be accessed live or at a later date. You can subscribe to a particular podcast series and as each new episode is released it will download automatically to your device. You can use podcasts to gather information, or you can make your own with students. 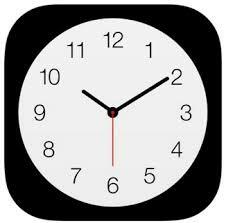 The Clock on the iPad has an alarm, stopwatch and timer function. The timer can be used to turn off music after a specific chosen amount of time. The world clock displays the time on a world map for all time zones to which you can pin point any destination. With Maps you can pin point where you are using location services, find dire ctions or choose another co ordinate. You can view the map as standard, hybrid or satellite. Satellite allows you to view the actual landscape, you can zoom in to see a place in close detail. With the new 3D tour feature, you can take a flyover tour of many capital cities. The number of places is steadily growing and it is exciting and interesting to be able to see a place that you are studying. The Calendar can be accessed from your notification screen so there is no need to unlock the iPad. You can set reminders and use as a lesson planner. The day can be broken down in to hours to increase the detail you can record. Entries can be shared between staff for important school reminders and students can use it to plan out a day. 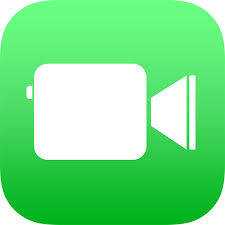 Facetime gives you the opportunity to video conference between Apple devi ces. Students can use it for a foreign language class to speak to a class in another country. You can also use it to bring a speaker in to the classroom who specialises in a certain field. Video Conferencing (VC) is extremely expensive and difficult to set up, to be able to use it in class at the touch of a button is amazing. Not only is Notes a handy tool to take down notes and reminders. It is a good way to get students used to using the iPad keyboard. It is also useful to keep in mind that when the keyboard appears and has a microphone symbol you can also dictate. You must speak slowly and clearly, and it also recognizes punctuation.This is great for students who find it difficult to write. With iOS 9 you now can take pictures and annotate in to notes. Digital cameras are now an integral part of the classroom. Using the iPad Camera not only allows you to take a quality picture but you do not have to download the image to use it. The picture or video can be edited, emailed, airdropped, placed in to social media or printed (using a WiFi printer). Videos can be used to document all types of learning and used for assessment, school websites and social media. There is a camera lens on the front and back of the iPad which enables easy picture taking from different angles. Safari (Browser). Having the internet at your fingertips at all times is an invaluable resource that removes the time it would usually take to go to a PC and log on and off. The functions allow you have more than one window open at a time, add bookmarks, share pages though airdrop to mail, social media or other apps. If you have leased iPads but are unsure what to do with them, or are thinking of taking out a lease, HardSoft has put together a helpful guide to ‘Six of the best iPad apps for education’. HardSoft also offers FREE training to schools leasing iPads from us. This can be offered at a time that suits you, and to both new and long-standing customers.